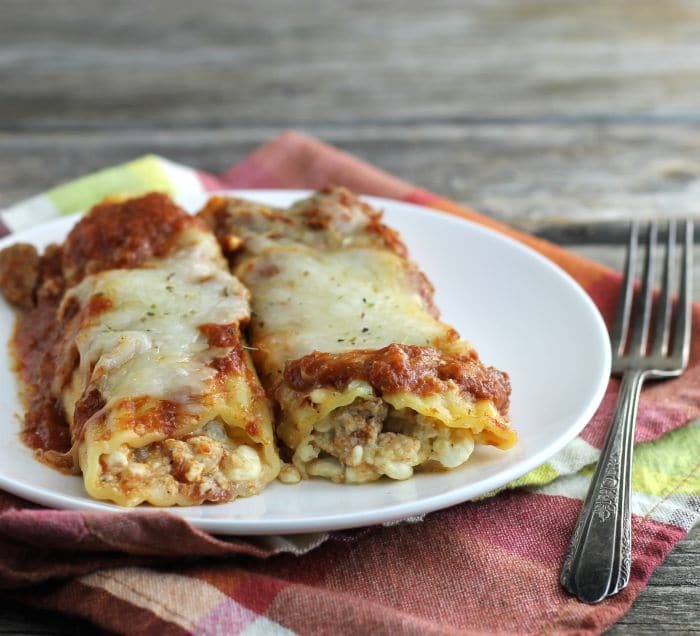 Baked Italian Sausage Manicotti, the perfect comfort food made with pasta, Italian sausage, loads of cheese, and spaghetti sauce. 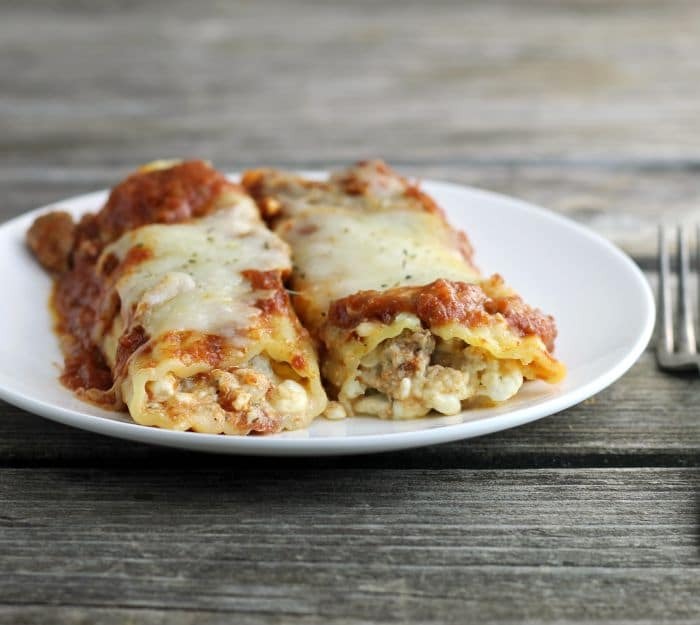 Baked Italian sausage manicotti, comfort food can’t get any better than this, serve with a slice of crusty bread and a side salad and you are set. Let me tell you a little something about me that you probably don’t know, I love Italian sausage. Yeah, I love the stuff, really! There are so many ways to use it and I never seem to get tired of it. Yes, and Mike loves it too. We don’t always see eye to eye when it comes to food, but when it comes to Italian sausage we are both in. 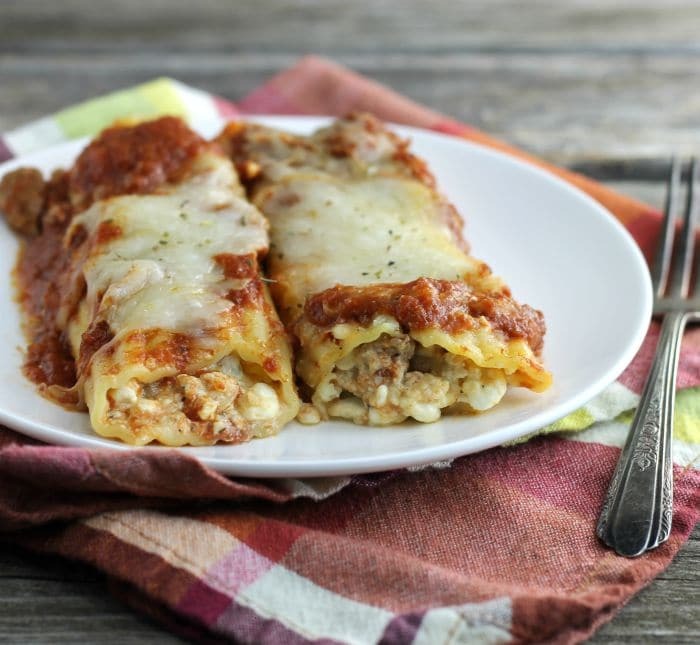 That is where this baked Italian sausage manicotti comes into the pictures. I have had manicotti in the back of my mind for some time now. It has been a while since I made this dish. I am not sure why I don’t make it more often, to tell the truth. Well, it may because, it is a little more complicated than let’s say making lasagna, but it is well worth it. It takes a little time to fill each of the manicotti noodles. But the end result is always worth it. 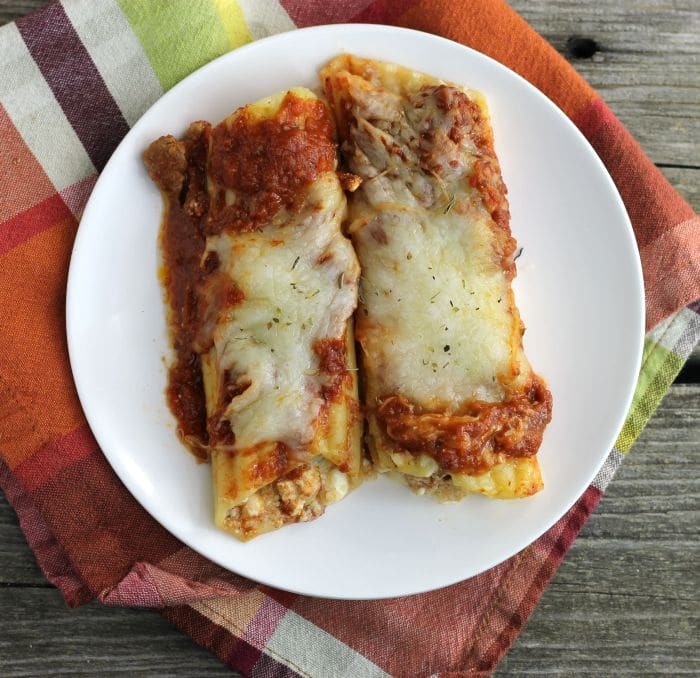 Baked Italian Sausage Manicotti the perfect stick to your ribs comfort food during the winter time or anytime for that matter. Brown the Italian sausage so there is no longer any pink. Drain any excess grease. Set aside. In a medium bowl combine the cottage cheese, 1/2 of the mozzarella, Parmesan cheese, egg, and Italian seasoning. Mix until well combined. Add 1/2 of the Italian sausage and mix well. Cook the manicotti noodles using the instructions on the box. Drain and cool so they are easy to handle. Mix the remaining Italian sausage with the spaghetti sauce. Spread 1 1/2 cups of the meat/spaghetti sauce in a 9 by 13-inch baking dish. Divide the cheese sauce between the 12 manicotti noodles (about 1/3 cup per noodle). Place the filled noodles on top of the meat sauce in the baking dish. Pour the remaining meat sauce over top of the filled noodles. Cover with aluminum foil and bake in the preheated oven for 25 minutes. Remove the manicotti from the oven. Remove the aluminum foil from the pan and top with the remain mozzarella cheese. Bake uncovered for 15 more minutes or until the mozzarella is melted. Remove from the oven and let it rest for about 5 minutes and serve. Talk about the comforting, warming and delicious meal! This is exactly what I would love to have for my lunch today! This looks terrific — so full of flavor. Italian sausage is wonderful, isn’t it? I haven’t made manicotti in ages, and usually make mine with a meat sauce. Gotta try it with sausage! Good stuff — thanks.